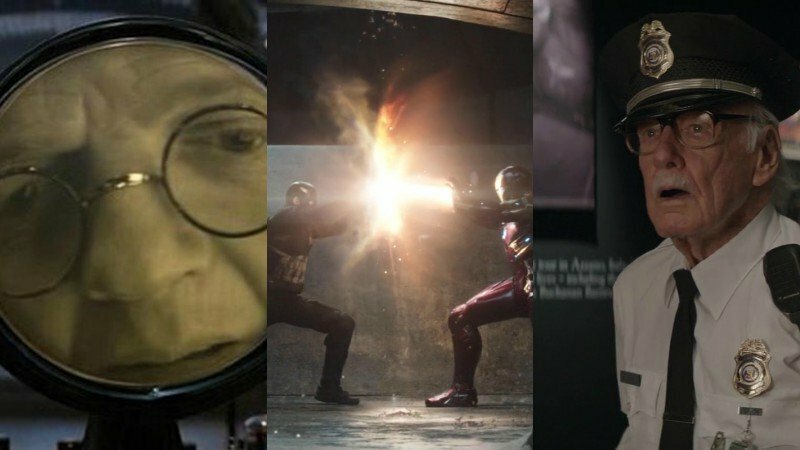 Our recaps of the Easter eggs in the Marvel Cinematic Universe continue with the Star Spangled Man, Captain America! Played by Chris Evans, the character has lead three solo movies in the MCU and each of them are loaded with Easter eggs, some of them repeating! Check them out via the link below! The first Captain America film was Captain America: The First Avenger. Released in 2011, and the final Marvel Studios movie released by Paramount Pictures, the film was Evans’ debut as the title character and also starred Tommy Lee Jones, Hayley Atwell, Sebastian Stan, Dominic Cooper, Stanley Tucci, and Hugo Weaving as the villain Red Skull. Joe Johnston directed the film. Three years later, Captain America: The Winter Soldier debuted. Directed by Anthony and Joe Russo, the film featured Sebastian Stan as thought-to-be-dead Bucky as the title villain. Evans’ Cap also teamed up with Scarlett Johansson’s Black Widow and Anthony Mackie’s Falcon in the film. Also starring in the movie are Frank Grillo, Emily VanCamp, Samuel L. Jackson, and Robert Redford. The Cap trilogy rounds out with Captain America: Civil War, the Marvel ‘solo’ movie that has featured the most other Avengers. The Russos returned to direct the movie, which featured Evans with Robert Downey Jr., Scarlett Johansson, Sebastian Stan, Anthony Mackie, Don Cheadle, Jeremy Renner, Paul Bettany, Elizabeth Olsen, and Paul Rudd. The film also featured Daniel Brühl as villain Barron Zemo and the MCU debut of two key Marvel characters with Chadwick Boseman as Black Panther and Tom Holland as Spider-Man.